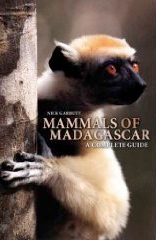 Lepilemur mustelinus - Threatened Species in Madagascar -- Rainforests. Conservation. Photos. Travel Tips. Tropical Fish. Guestbook. Contact. Lemurs in Berenty -- The common nocturnal lemurs are Lepilemur mustelinus, Microcebus murinus and M.